Title: Our kids being allowed to be kids! 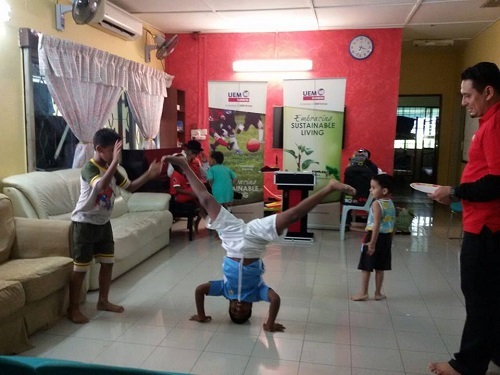 When UEM came over to Shelter 1 for their CSR initiative recently, our kids started dancing the moment they turned on the music! It's really a joy for us to see how our kids have learnt to express themselves so comfortably. We do encourage their dancing at appropriate times in the Home. We also get them to perform for our Christmas parties for almost every year. We don’t believe in full restriction of movement for the children in the Home. We know the importance for allowing the children to be children and it’s natural for them to move around and even make some noises so long it is within reasonable bounds!